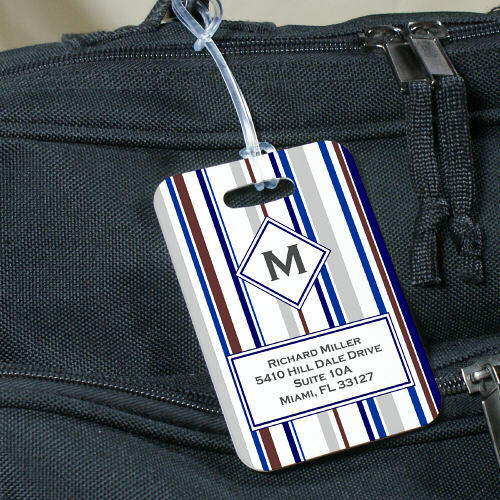 Identify your luggage in a snap with our Personalized Striped Luggage Tags. These bold and striking luggage tags work great on travel luggage, briefcases, backpacks or gym bags. These tags are stylish and make it easier to spot my luggage on the carousel. Additional Details GiftsForYouNow.com is the leader in Personalized Gifts suitable for all occasions, family and friends. We offer a wide variety of Personalized Gifts for Birthdays, Anniversary Parties, Weddings, Family Reunions and much more. Shop GiftsForYouNow.com for all your Personalized Gift needs.